Lately, my secular job has made me think about how much worse I am at accepting criticism than I used to be. 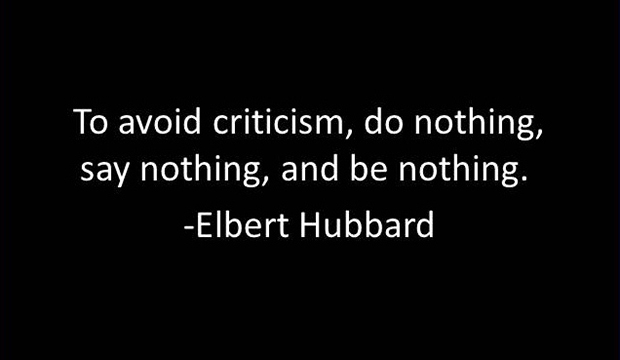 You would think it would become easier to accept criticism as I get older, but I am finding it more difficult. Part of this is because I am more confident in my skills and abilities now, so when I receive criticism that is just plain incorrect (such as a college professor “correcting” grammar that is correct to begin with), I do not have a lot of patience. Part of it is because despite being managed predominantly by managers who never give feedback unless it is negative, I am still not comfortable with this management style. I have also been thinking of criticism in light of the apology to the GLBTQ community by Alan Chambers, President of Exodus International, and in light of the apology of Paula Deen for some of her reported racist language and behavior. It bothers me that in both cases, some expect (or demand) that those hurt by the words and actions of Mr. Chambers and Ms. Deen should just accept the apologies and move on. Quite a few straight people have written that GLBTQ people should take Mr. Chambers at his word and that, in particular, GLBTQ Christians should not question his motives or his sincerity. Likewise, I have read many Ms. Deen White apologists who write that since Ms. Deen is from the South, she should be forgiven without hesitation.